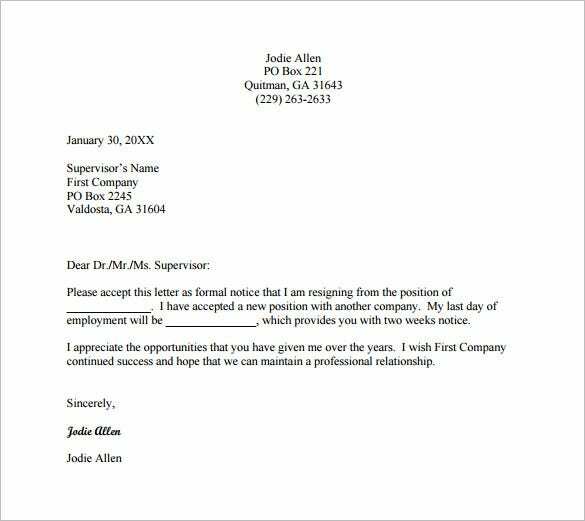 People quit their jobs for different reasons. 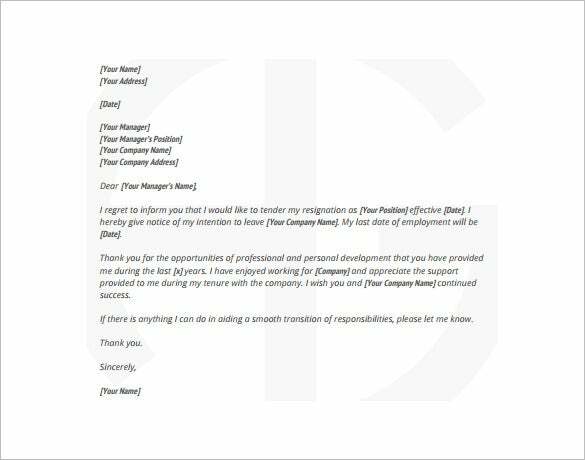 Low paychecks, unfavorable working conditions, and long working hours are just but handful reasons why one might want to quit their current job. 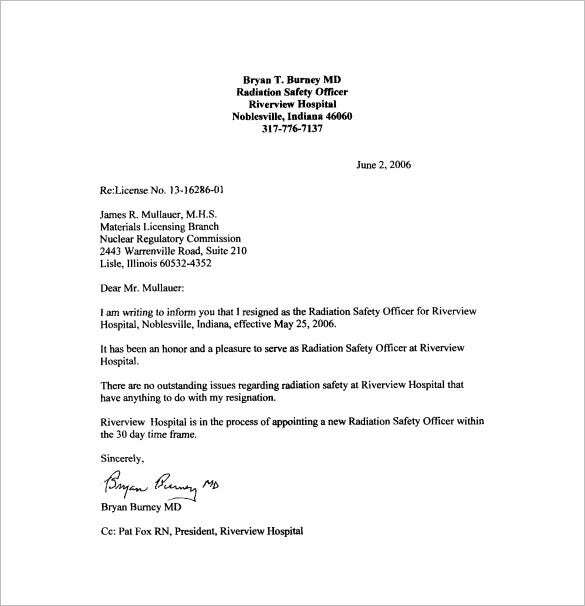 But, leaving work one evening and never showing up the next day without a good reason isn’t a professional way to quit your job. 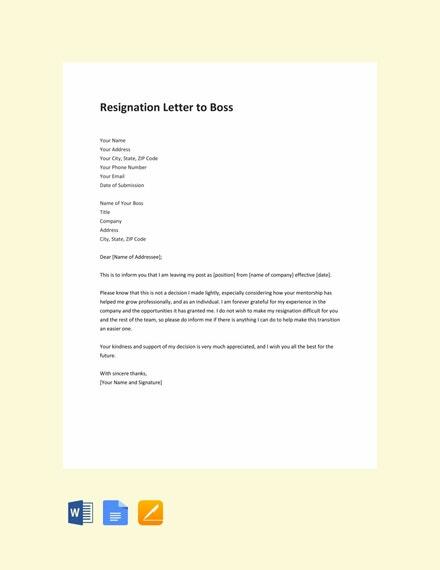 A resignation letter template can help you send a quick note on your intention to quit the job to your boss. 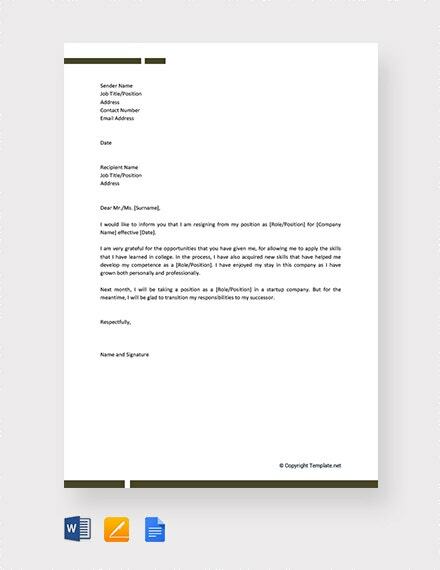 A formal resignation letter must be short, precise and detailed. 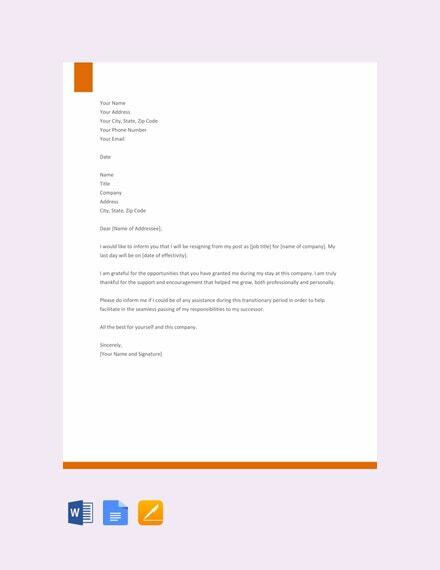 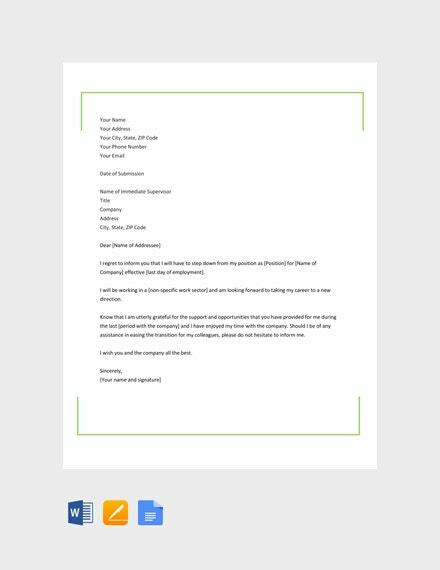 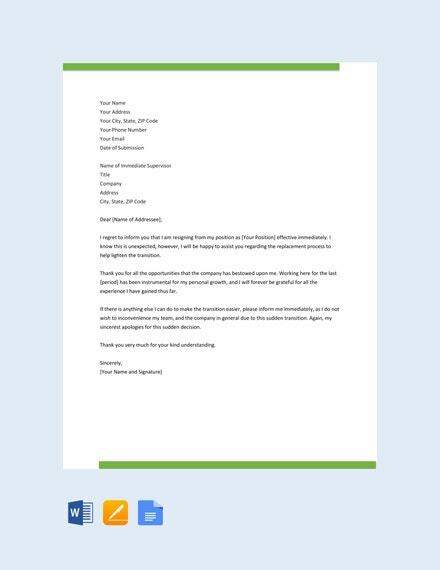 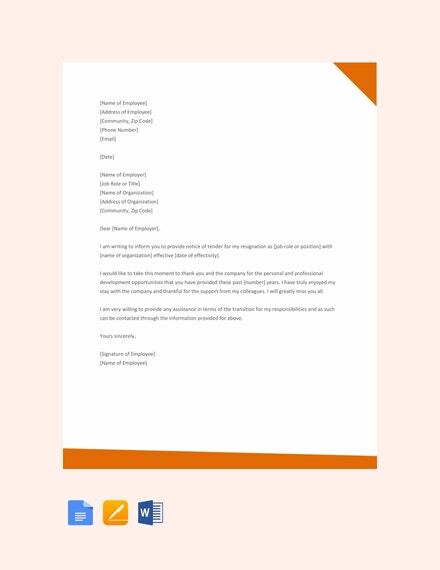 The formal resignation letter template is a resignation letter template in PDF that can be used by anybody. 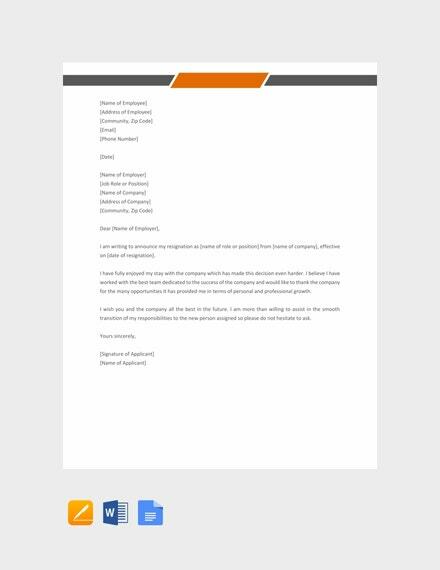 Just add the details of the employer and the employee and the letter is ready. 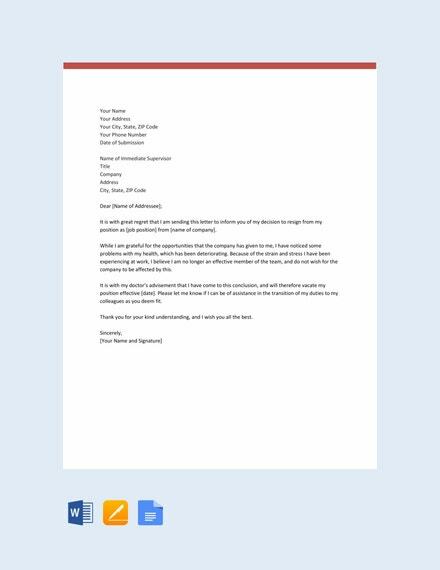 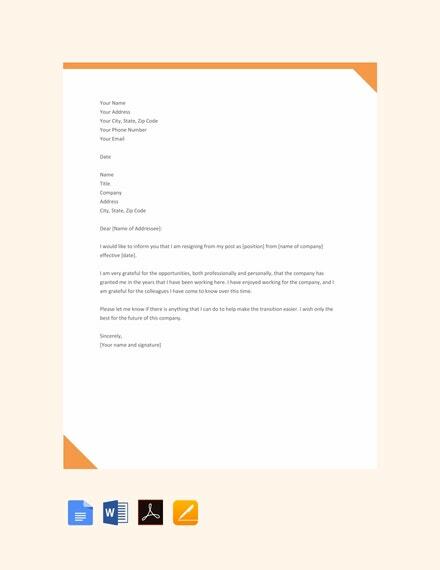 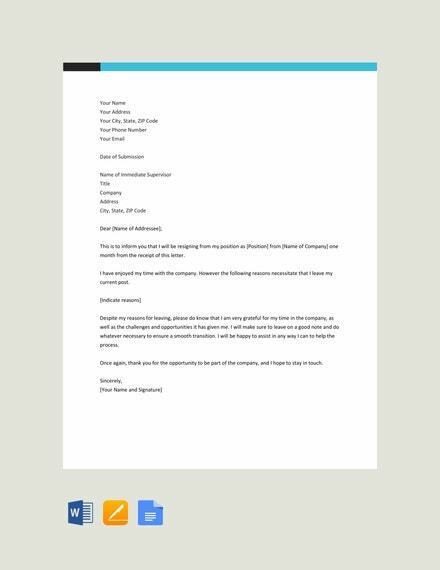 No need of thinking what to write because with the help of the email resignation letter template, one can use it easily. 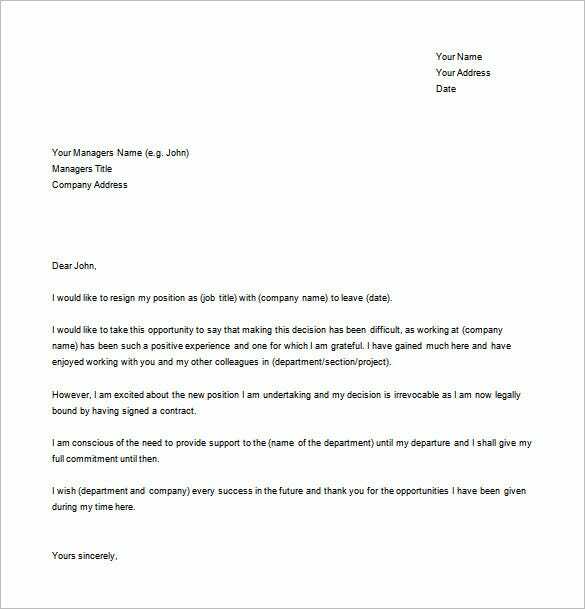 Just add the details which is necessary and the resignation letter is created. 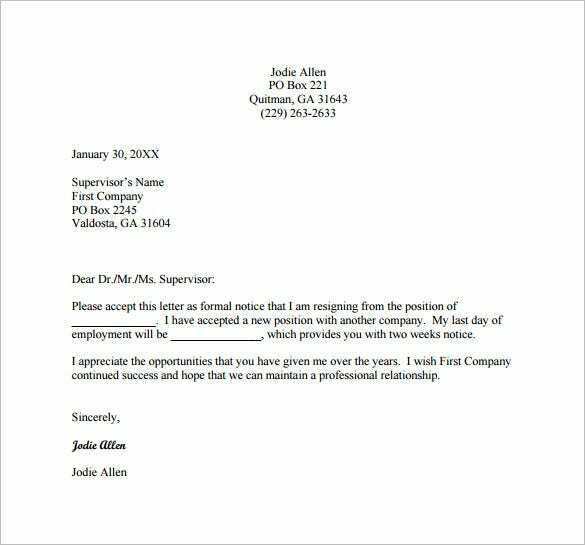 The example resignation letter for a new job is a comprehensive letter which is pre created that conveys the reason of resignation and the way the previous company has helped. 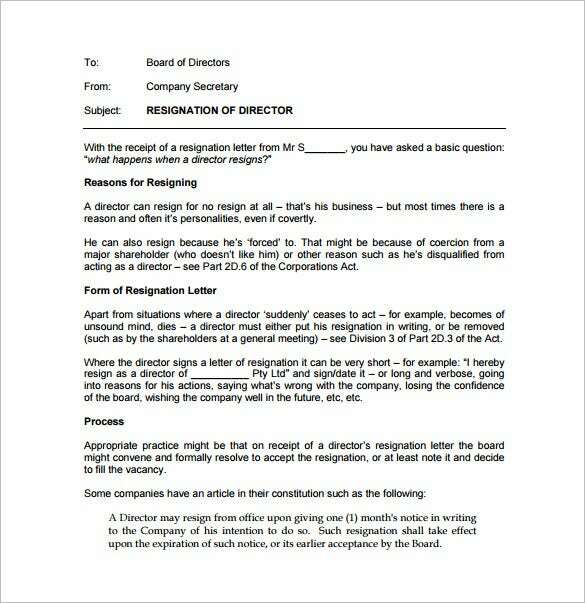 Just add the important details and the resignation letter is good to go. 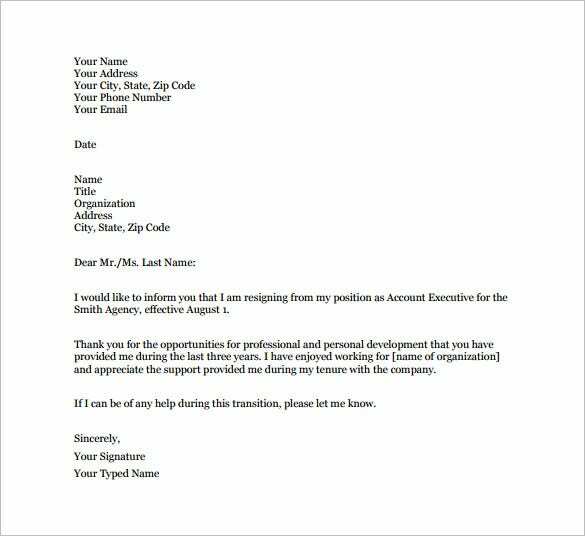 The 2 weeks notice resignation letter is a simple resignation letter template that contains the main body of the letter. 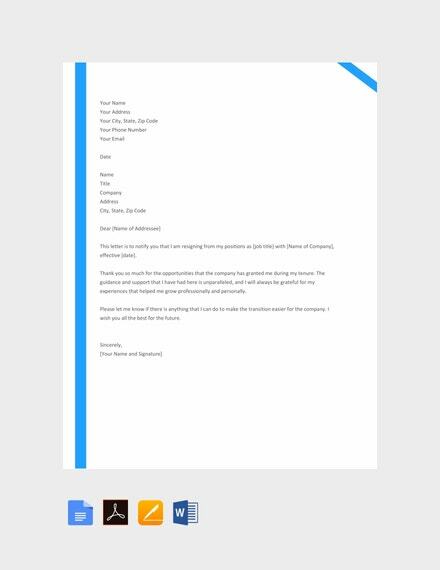 Just add the important details and send it to the employee. 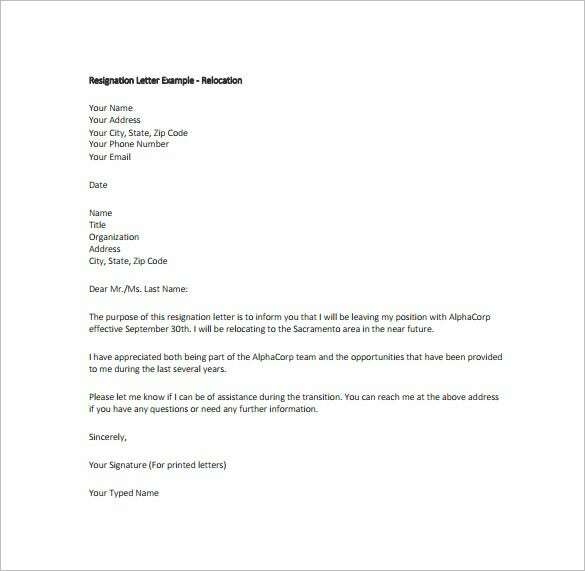 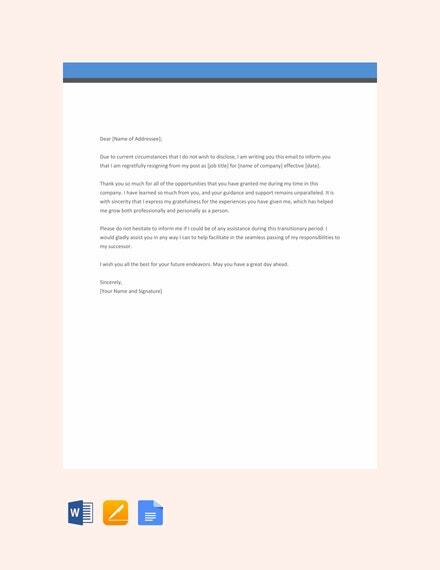 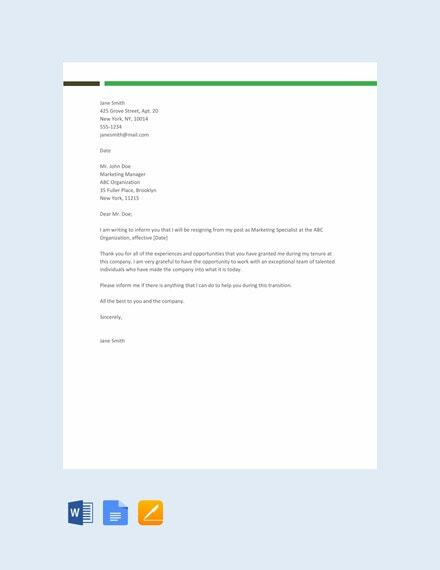 The employee resignation letter template is a normal resignation letter that contains a letter template that can be used by any employee seeking resignation. 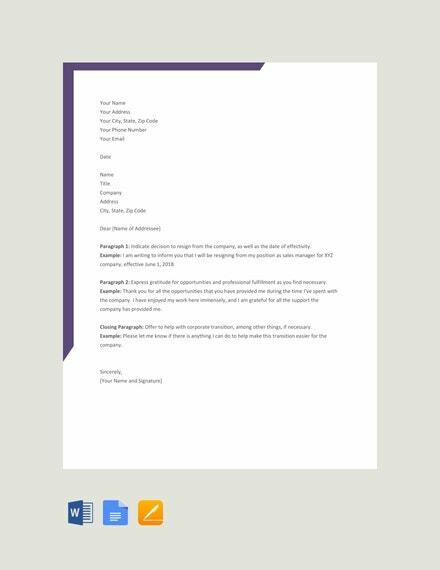 Just add the details of the employer and employee and it’s good to go. 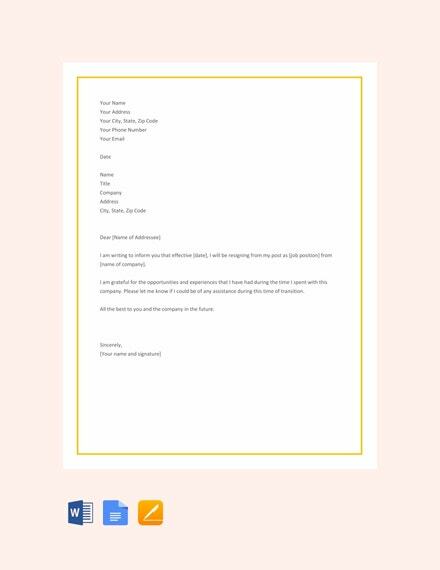 Developed to make letter writing easy,excel, PDF and Word Resignation Letter Template can help you prepare the resignation letter within the shortest time possible.